Bermuda grass is considered one of the most terrific grass options for those living in a southern climate. It’s quite tough, capable of surviving extreme summer heat with very little water supply. With minimal care and maintenance, this grass can provide a lovely, hardy lawn cover. 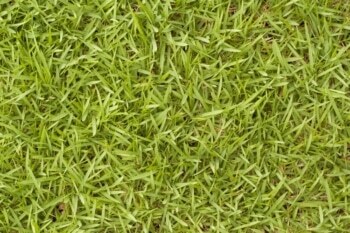 This special grass grows very low and is lovely to walk on, making it a great choice for high-traffic yards. Its soft, fine blades provide a welcoming lawn that’s comfortable for children to walk, sit, or roll around on. When mowing Bermuda grass, it is vital to use the right tools for great results. Many lawn owners have complained about poor results simply because they didn’t know the value of using a reel mower on their Bermuda grass. Since it’s a very low-growing grass, you need a mower that’s capable of accommodating this by cutting about 1-1.5 inches from the ground. With the right equipment, there’s no chance of scalping your grass and destroying your lawn. Even though Mother Nature has her way of watering the plants, it’s crucial that you tend to the specific needs of your lawn. If you notice your Bermuda blades bowing down a little, that’s a sign that it’s thirsty. Bermuda grass needs about 1 inch of water per week. More Lawn Tips: Cutting Grass In Winter Time - Is it Necessary? Read our lawn watering guide for more info. Aerating is very important for a fully grass-covered lawn. Do this at least once a year by punching holes in the soil to improve the roots’ access to oxygen, nutrients, and water. This process also allows you to weed out unhealthy patches, and remove any dirt, stones or other debris that may be compromising the health of your lawn. The best time to apply fertilizer is right after aerating. Because the roots and soil are breathing better, they have an increased chance of absorbing the nutrients needed to ensure their health and longevity. This practice optimizes the benefit of aerating and increases your fertilizer’s effectiveness. Caring for Bermuda grass is a simple and convenient process for those who enjoy gardening and cultivating beautiful yards. With minimal yet well-informed care, your Bermuda grass is guaranteed to provide you a soft and well-covered ground.